Inking It Up With Cathy: Christmas in April???? My next few posts will be of Christmas cards made last year at my annual Christmas card class. I cannot believe how behind schedule I am but these cards may inspire you to get started on your Christmas cards now! 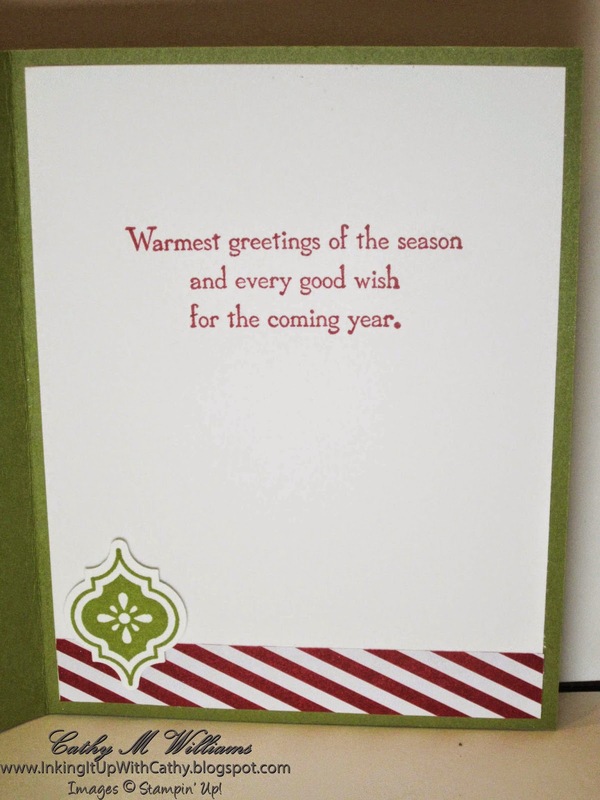 The thing I love about this first card is that is uses a stamp set that is not specifically a Christmas set. I love that it highlights the versatility of the set. 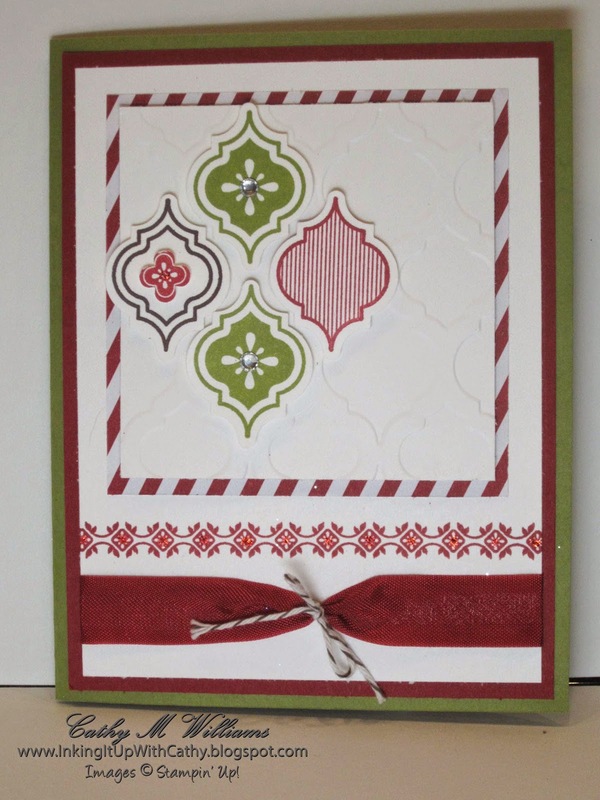 The challenge for a big Christmas card class is to have enough sentiments for the inside of the cards. Some times I have to dig out a retired set - like this one (Merry Messages) - in order to have enough sentiments to go around. If you don't have this set, you could use one from More Merry Messages which came out during the 2012 Holiday catalog but is still available for order.